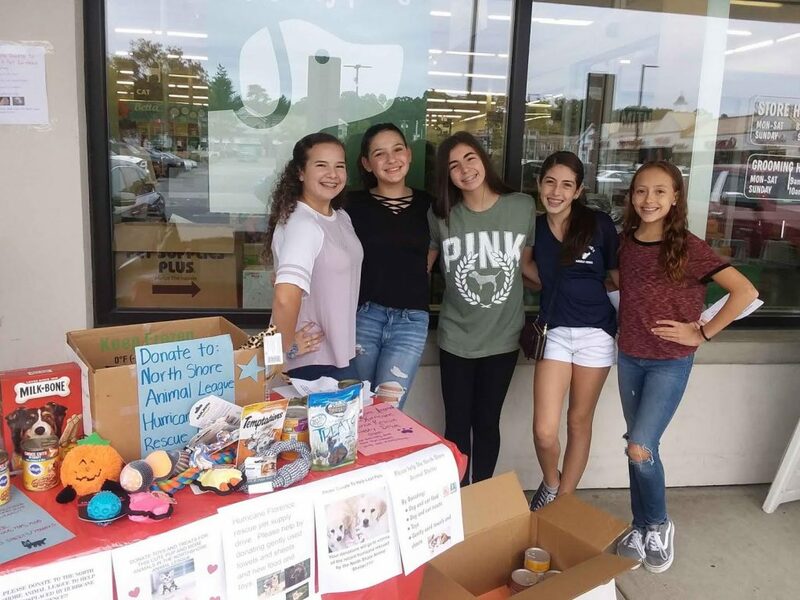 National Junior Honor Society students from Accompsett Middle School in the Smithtown Central School District recently held a pet drive for animals affected during and after Hurricane Florence. North Shore Animal League in Port Washington took in more than 100 animals displaced by the storm. The members of the honor society collected donations, food and other supplies, valued at more than $400.